As if I needed to prove yet again that my kitchen experiments don’t always turn out as planned, I present you with this horrific flop. I wanted to recreate the Raspberry Cream Cheese Bread that Great Harvest Bread Co. sells. 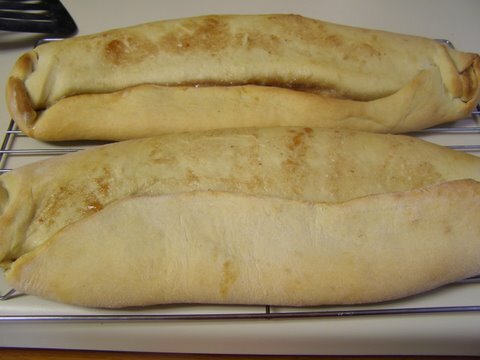 Last time I attempted a re-creation of one of their breads (this pizza bread) it turned out wonderfully. So I was completely confident I’d have the same results this time. However, as you can clearly see, that just wasn’t the case. The bread itself tastes okay, but it is clearly not supposed to look like that. I’m thinking it was an error on my part somewhere. I either killed the yeast or over worked the dough. But it definitely did not rise probably or hold together well. I’m not going to give up on this one though. So while I don’t have a recipe to share just yet, hopefully I will soon. Sorry it was a flop. 🙁 I know you’ll get it though! You’re an awesome cook! 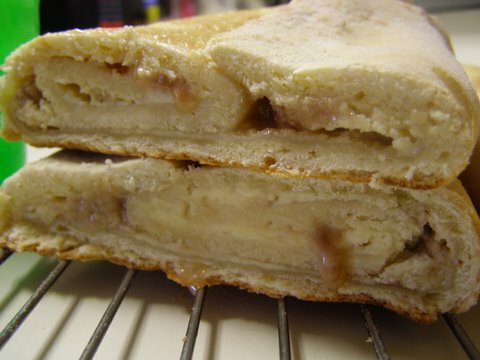 I’d love to recreate their Caramel Apple bread but no clue how to do it. It is so yummy! I have no idea how it’s supposed to look, but it still looks kind of tasty to me. I hope it works better next time, though.